Read about the top five capabilities to help digital contact centers manage Multichannel Consent. Contact centers must effectively match which channel the consumer wants with the service they want it for. The misuse of the desired contact channel can have material impact on performance and regulatory risk exposure. 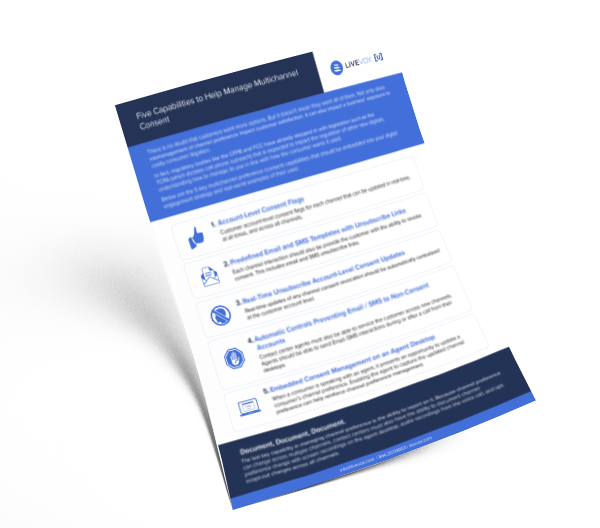 Read this tip sheet to learn about the five features contact centers need in their digital strategy to effectively manage multichannel consent.